The arrival of tea in Taiwan is attributed to the Dutch East India Company, also known as the VOC (VereenigdeOostindischeCompagnie), which was established in 1602. Granted sole rights on all trading from the Cape of Good Hope to the Straits of Magellan, VOC played a primary part in the colonization of Asia by European countries that wanted to establish trade from South Africa all the way to Japan for 200 years. Taiwan had been discovered by Europe since 1542 when Portuguese explorers found this beautiful island which they called Ihla Formosa. The VOC was expelled from the neighboring Penghu by Chinese Ming forces and arrived in 1623. They established the island as their trading post with Japan and China. The Dutch learned that Taiwan was a lucrative source of products like deer skin, sugar and rice, among others. They built two forts to provide security to the island in order to protect their interests and gain control of the island’s trade. They established a system for taxation, provided schools and built churches, and established rules governing tariffs, land ownership, agricultural production and all other aspects of life in the island. The VOC welcomed Chinese immigrants and employed them to farm sugar cane and rice. Traders from Fujian province supplied them with Chinese tea. In 1645, the VOC Governor’s Report made mention that wild tea had been discovered in Taiwan’s central mountainous region. In 1662, The Dutch were forced out of Taiwan , but it was only in 1683 that China regained control. Taiwan then became a prefecture of Qing Dynasty China. Despite prohibitions against the Chinese going to Taiwan, many Chinese still came to the island. A lot of them were bachelors who eventually contracted marriage with the local women. Their marriages gave them the right to travel in the mountains of Taiwan where tea trees grew abundantly. Reports from 1717 documents that wild tea was discovered in Chu Lo county now known as Chia Yi county. It was only during the 19th century that cultivation of tea started in Taiwan. Seedlings from the WuYi district in China were cultivated near Jiufeng inthe northernpart of Taiwan. This tea was made available for locals or for Chinese trade. The Opium War from 1839-1842 forced China to open five of its ports to international trade. The ports of Danshui and Kaoshiung inTaiwan were also opened to international trade in 1860. This development gave rise to new industries in Taiwan. John Dodd, a Scotsman, recognized the commercial viability of Taiwan tea and proceeded to assist farmers in northern Taiwan with loans to help them maximize their tea production. He established a company, Dodd and Company, and began trading Taiwan tea in 1869, exporting to England and New York. Formosan oolong tea (Formosa referring to Taiwan) did very well in the US market and gave Taiwan tea international recognition. This encouraged other export businesses to establish shop and by 1865, tea exports had grown to 180,000 pounds and by the end of 1885, around 16 million pounds. At the turn of the 19th century, tea had become Taiwan’s major commodity for export. The First Sino-Japanese War from 1894 to 1895between Qing Dynasty China and Meiji Japan was waged to gain control of Korea. During this time, Japan occupied the Penghu Islands located in the western coast of Taiwan and isolated Taiwan from Mainland China. The Japanese continued to increase the production of black tea and exported Oolong and Baozhong tea mainly to Russian and Turkish markets. The Tea Research Institute of Taiwan was established in 1926 primarily to develop methods of increasing tea production and also new varieties of tea that are inimically suitable to Taiwan. Until now, these tea varieties are still fairly in demand. During the Japanese time, internationalpromotion of Taiwanese tea was done at international trade fairs. Japanese, US, British, Hong Kong and Russian markets were its primary customers. By the 1980s, tea consumption in Taiwan dramatically increased as its economy grew. Due to the widespread promotion of tea drinking, people began to emphasize tea as an art and became more discriminating when it came to quality of tea products. Taiwan’s tea industry shifted its concentration from exporting tea to marketing to the local Taiwanese market. Lately, bottled tea and “bubble tea” became very popular products and have been introduced from other countries. 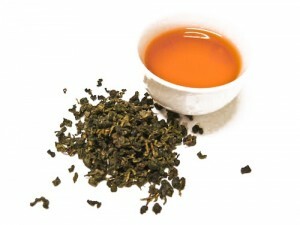 Conveniently packaged tea bags and other tea products are also much in demand. Taiwan’s tea culture has fast become more and more sophisticated.